Hello there,what are you waiting for,this post is going to get you more excited for a new living with a new platform of play a new game just like when you are playing offline mood.Facebook Gameroom Games is what most of the Facebook gang stars keep enjoying specially when they are online on their respective account.I remember a friend who wanted to install and play this Facebook Gameroom Games but it sound Awful that he don't know how to do that and i think that has given me a reason to write this post on how you can do that in a very simple way. 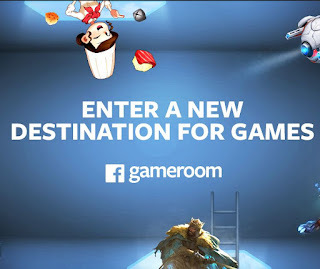 Without wasting much of your time,can we just move ahead to what makes you to switch to this post.Please remember that Facebook Gameroom Games can't be install but you can play it on your windows devices.However let stat to tell you some procedure. Well,you should know also that you can't use Android to get this App,but the only things we need to download and Play Facebook Gameroom Games are your Facebook account,your Windows Os like Windows 7,Windows 8,Windows 10 and other high version of windows. To make it download fast,make sure you install ADM download manager if you notice that the MB megabit is much and just to save time you can use ADM for it.After download the run it .NOTE: that you will need an internet connection to get it work which mean that Facebook Gameroom is an online Game so you need to configure you Windows for your connection. Facebook Gameroom has some features that will enable to resuming your existing games which you are play before and the good news is that more games are also added up in the Facebook Gameroom.Is very easy and you will enjoy it if you follow all our direction on how you can install this app on your Windows. If you have a friend who might want this App more interesting,i think this is a chance for you to share it to him/she.Also if you encounter any problem while follow the procedure,please don't stop to let us know about it.Enjoy.